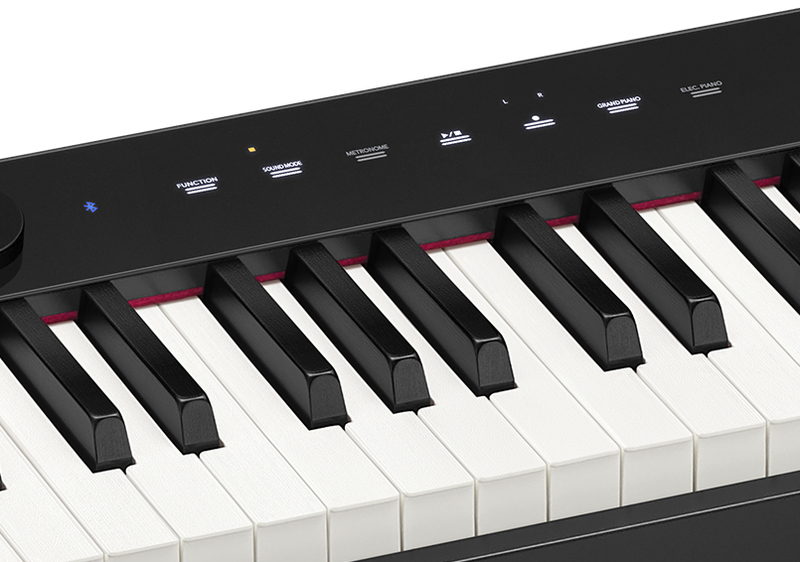 Introducing an 88-note, ultra-compact digital piano with built-in speakers. New for 2019, the CDP-S100 combines a brand new sound engine with an incredible keyboard action. Put simply, Casio have redefined what an entry-level instrument should be. The new PX-S1000 marks a new chapter in the fifteen year history of the iconic Privia digital piano. Unashamedly original and with incredible new features, this latest model complements any living space and is supremely portable. You’ll be amazed at how compact the new PX-S1000 is. Despite it’s slimline appearance, this new Privia digital piano has the full range of 88 weighted keys with simulated ebony and ivory textures. Hear the incredible new Grand Piano tone through the built-in speakers or plug-in headphones for silent practice. A mark of quality in an acoustic piano is in the feel of its keyboard. Each key has its own hammer weighting, key resistance, damper position and key release time, creating a tone and touch which is proportional to that of its neighbour. 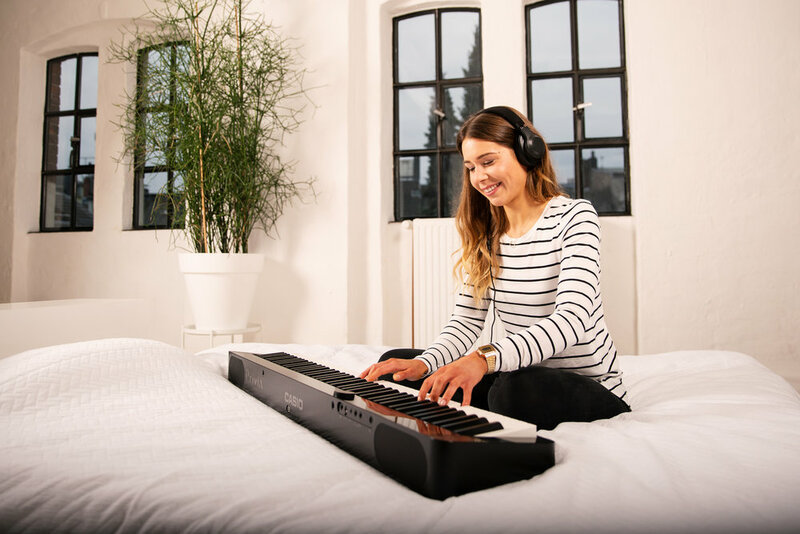 For the first time, Casio’s Smart Scaled Hammer Action Keyboard simulates the unique touch response of each individual key, delivering increased authenticity and a new level of playability. 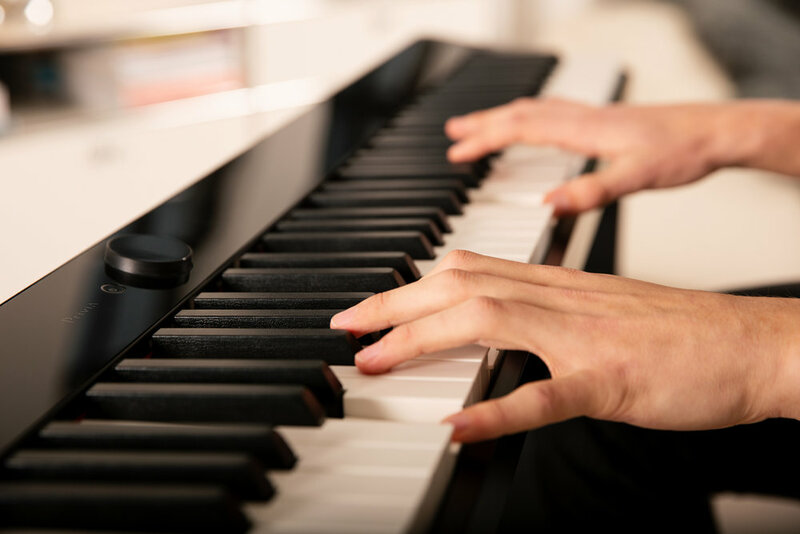 Every fine nuance of an acoustic piano’s tone is faithfully recreated too, including String and Damper resonance and even the mechanical action noise, for the ultimate in expressive realism. 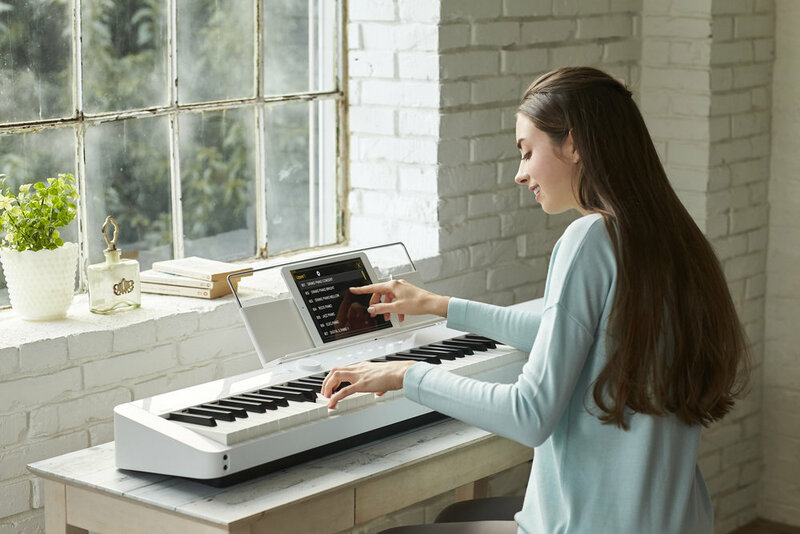 The PX-S1000 is the most straightforward digital piano to use, thanks to Casio’s unique Active Touch Panel Display. Touch the panel above the keys and see controls appear as if by magic. When not in use, the panel becomes dark, leaving you to focus on performing without distractions. With Bluetooth audio playback, the PX-S1000 instantly becomes the centre of your music making, whether it be in your home or studio. Connect any Bluetooth compatible device and listen to music streamed through the speakers of the piano. No wires. No fuss. Just music. 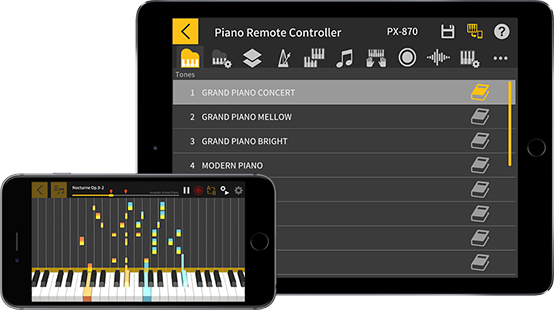 The PX-S1000 is fully compatible with iOS and Android devices and can be used with Casio’s own free Chordana Play Piano App. The PX-S1000 is the instrument you need, wherever you need it. Choose the optional CS-68 stand and SP-34 three-pedal unit and you have the ideal studio instrument that will deliver the dynamics and expression required for the most advanced music. You can also connect to external amplification using the Line Out connectors. 6 AA Batteries will give you up to 4 hours** of playing time when out and about, and at 11.4kg in weight, this is the perfect go-everywhere piano. Choose the optional SC-800P soft case, specially designed to fit the PX-S series, and you have the perfect travelling solution. shown with optional cs-68 stand and sp-34 three pedal unit. Choosing an instrument is only the beginning of your musical journey. The next challenge is learning how to play. 88 Weighted Keys with Smart Scaled Hammer Action Keyboard. Battery Power Option (6 AA Batteries give up to 4 hours of playing time). Line Output (Left and Right). * Out of all digital pianos with 88 weighted keys and built-in speakers. Survey conducted by Casio UK in 2019.